In the exciting second Warriors story arc, the wild cats of the forest have lived in peace and harmony for many moons-but new prophecies from their warrior ancestors speak of a mysterious destiny and grave danger for the clans. The final title in this thrilling feline fantasy adventure. Soon after the cats reached their new home by the lake, ThunderClan's medicine cat Leafpool received an ominous warning from StarClan: Before there is peace, blood will spill blood, and the lake will run red. 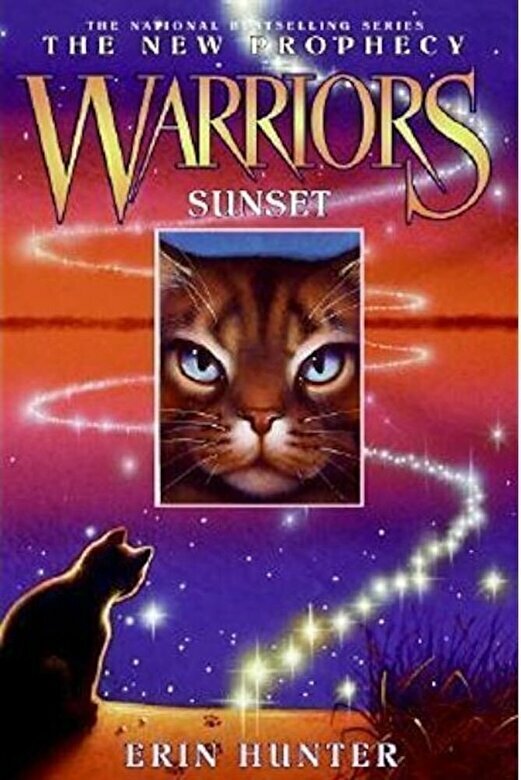 As the Clan slowly recovers from a devastating badger attack, Leafpool can't help but wonder... do her prophetic dreams mean there are even worse dangers still in store for the warrior cats? At the same time, shadows of the past continue to haunt the forest as some old friends struggle to find their place, others appear to be lost forever, and an old enemy finds a new way to resurface in a quest for dark revenge. A sinister path is unfolding, and the time is coming for certain warriors to make the choices that will determine their destiny . . . and the destiny of all the Clans.